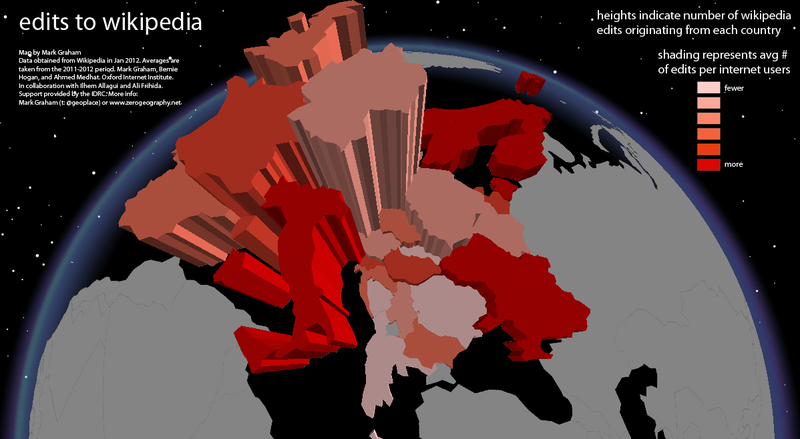 I’m still playing with our database of Wikipedia edits (which tells us how many contributions to the encyclopedia originate in each country) and made two more maps of Europe. 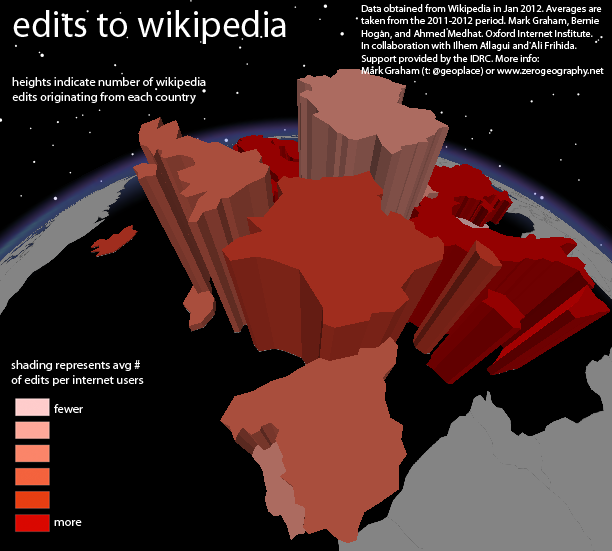 The height of each country represents the number of edits originating in that place. The shading indicated the number of edits per Internet user (darker reds meaning higher per capita participation).